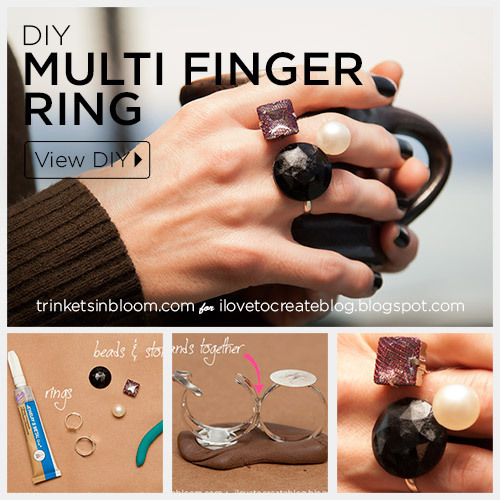 Accessories and jewelry for this fall have a lot of geometric influences, this Geo Multi Finger Ring DIY is a fun and simple way to create a cool artistic statement without breaking the bank. Mix up stones, beads, whatever you have to make a truly unique piece of wearable art. 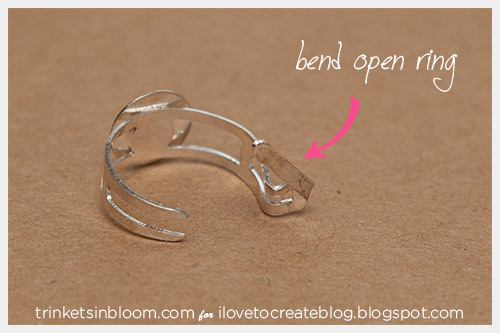 Use your pliers to open the band on ring that will be upside down. As you bend any pieces around make sure your fold them smooth and flat. 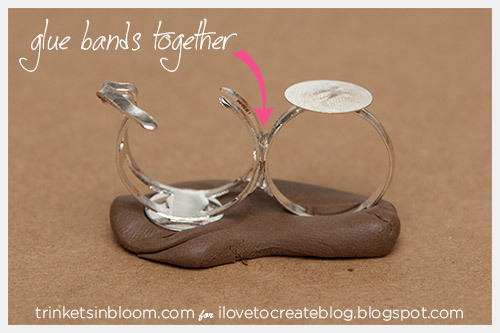 Glue your 2 ring blanks together at their sides, with the open one facing up and closed one facing down. 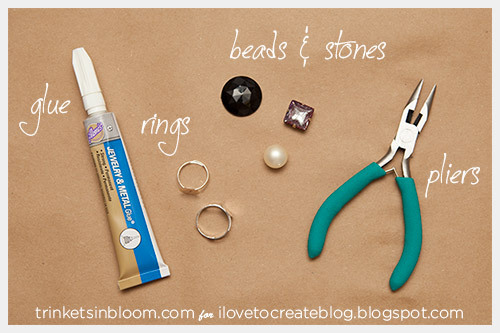 Aleene's Jewelry and Metal glue is really awesome for holding metal and stones together. It dries really quickly and holds well. 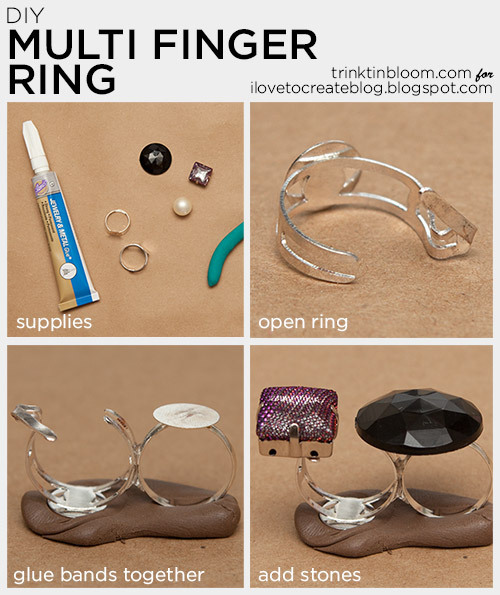 You can use a small piece of clay to stand your rings in while they dry. 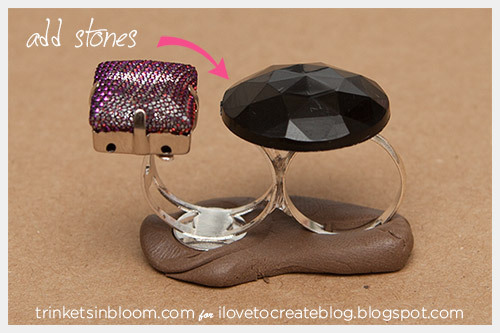 Glue your stones and beads to your ring. 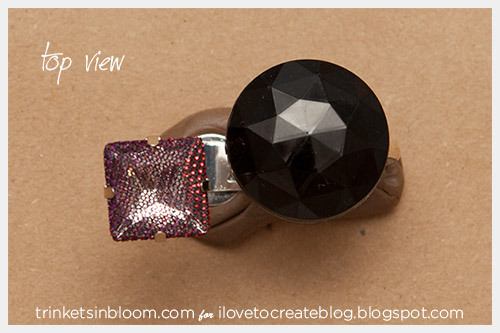 Where you’ve opened your ring it will give the illusion of the stones floating between your fingers. Pretty cool! 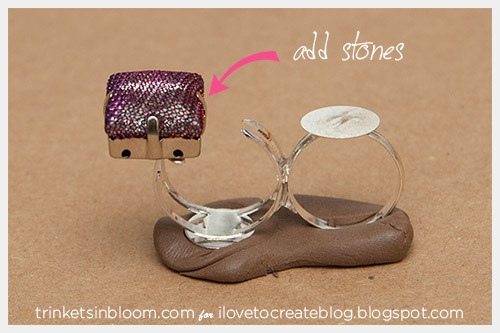 Let your glue dry for a few hours or overnight before wearing. 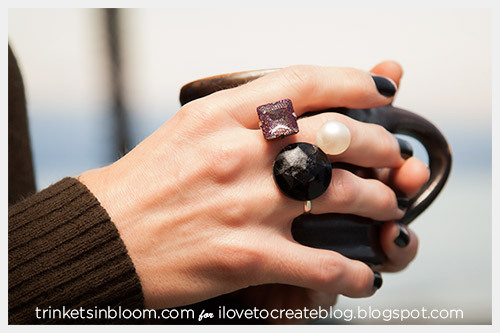 To see more fashion DIY’s check out my blog Trinkets in Bloom and follow me on Facebook, Pinterest and Instagram, for daily updates and inspiration.